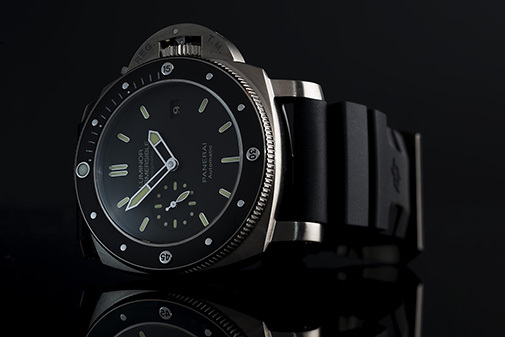 Last September, Officine Panerai introduced a new 47mm watch: the PAM389 submersible. Apparently the days when new models are introduced once a year at SIHH are over. The 389 has a ceramic bezel - never seen on a Panerai before, it has a titanium case and a soft iron inner case to make it withstand strong magnetic fields. Hence Amagnetic in its name. 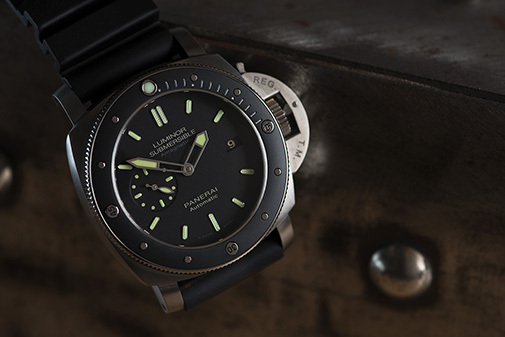 The new Luminor Submersible 1950 Amagnetic 3 Days Automatic Titanio encapsulates all the elements of the tradition that has always characterized Panerai and the continuous research by the Florentine brand into the finest technical solutions. 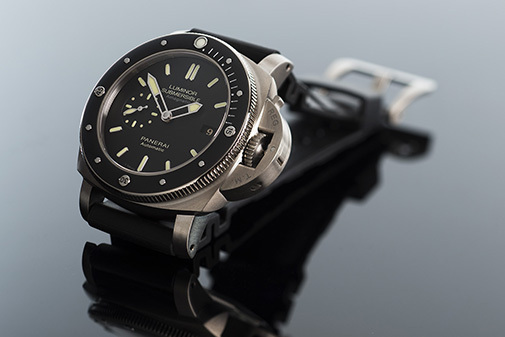 The Luminor Submersible 1950 Amagnetic 3 Days Automatic Titanio features a case that ensures an extremely high resistance to magnetic fields: 40,000 A/m (ampere per meter), a limit more than eight times greater than the value specified by the international standards of the Normes de l’Industrie Horlogère Suisse (NIHS 90-10). Such a high limit is achieved by the use of a special internal case made of soft iron of the highest purity, which encloses and isolates the movement, forming a Faraday cage that diverts the flow of magnetic fields. The soft iron case is immediately beneath the dial, which is made of the same material. Based on the reactions I've read on various websites, I'd say that this is one of those Panerai watches that you either love or hate. I warmed up to it quite easily though, I think it's an outstanding addition to the Panerai line up. I'd certainly love to own one. 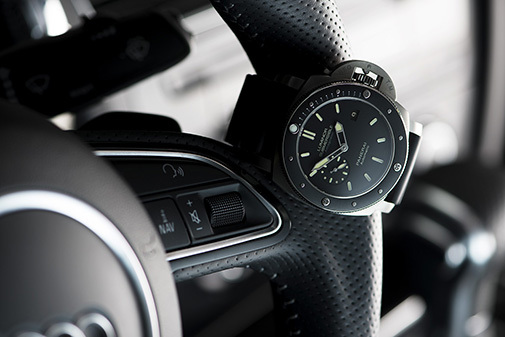 In terms of design, the watch is akin to the PAM305 that was introduced in Geneva at the 2009 SIHH. Both have a titanium 47mm case, and a similar dial with the baton style 12 and small seconds at the 9 o'clock position. 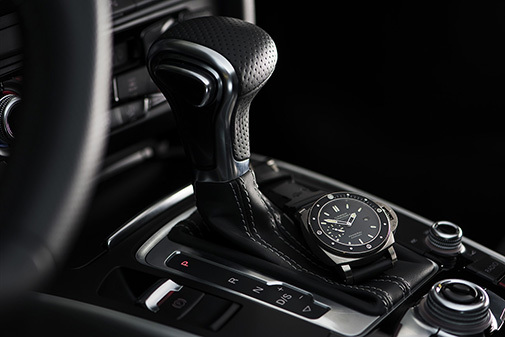 Both watches use the same automatic P.9000 movement with a power reserve of three days. The ceramic bezel makes all the difference in terms of looks. 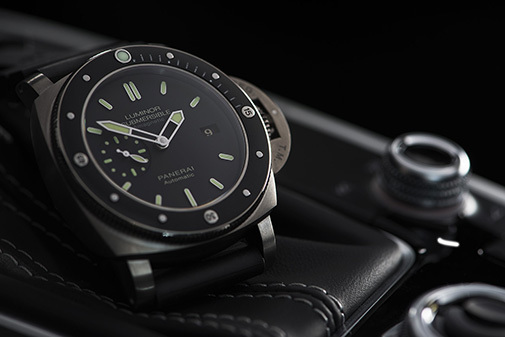 Furthermore, although most recent Panerai watches seem to have ecru Luminova markers, the 389 uses the green version that we've seen on most Panerai watches from before 2010. I also show a few seconds of video while I was taking the pictures, you can find it here on Vimeo.com. All photos are © 2012 M.Wilmsen - do not use my photos without permission. Just do not know what to say, this is a unique clock! Awesome done a review of this model. watch is very difficult to shot, but you done a good job, what a nice photos! Great post with lots of quality info. Keep up the good work!